The Shooting Directory guide to outdoor footwear designed for life in the country and country sports. Fieldsports clothing, footwear and accessories for ladies and gentleman from one of the UK's longest standing industry retailers. 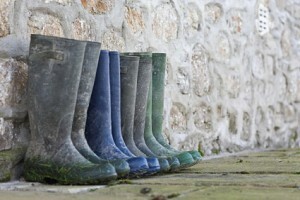 Wellieboots.com is the specialist Wellington boot division of Barnack Country Clothes, stock includes traditional and colourful wellies from Hunter, Aigle, Le Chameau and Joules. A family business providing a range of high quality footwear for various activities, including shooting boots, hiking boots, riding boots and casual comfortable shoes and sandals. An original range of waterproof footwear including wellingtons, boots, shoes, gaiters and bags manufactured by Lakeland. The Welly Shop specialise in fine quality wellingtons (wellies), ankle boots, shoes and clogs from Hunter, Aigle, Le Chameau, The Muck Boot Co., and Lacrosse.